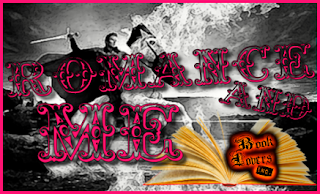 October is Urban Fantasy Romance month for The Romance and Me Reading Challenge (if you'd like to sign up for the challenge, you can do so HERE), so if you have read any urban fantasy romance stories in October please submit the link to your review in the linky below. Thanks to the generosity of urban fantasy author Jennifer Estep, the winner will receive a signed paperback copy of Widow's Web, the brand new addition to her Elemental Assassin series! So if you have read an urban fantasy romance novel in October and have reviewed it, leave the link below to be entered in the giveaway. Giveaway is open worldwide and ends on 15 November 2012!